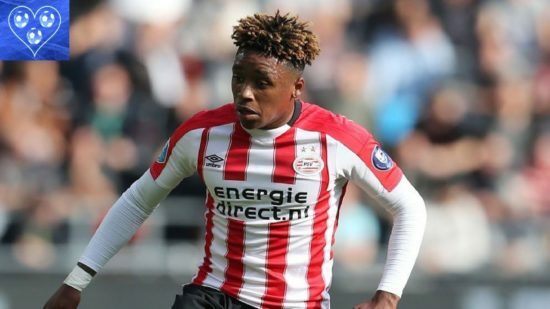 According to reports from The Express, Manchester United seem ready to make a move for Dutch youngster, Steven Bergwijn after manager, Ole Gunnar Solskjaer requested his signature for the club. Solskjaer has hit the ground running as United manager, winning all six matches in charge so far, helping us to make a previously unthinkable assault on the Top 4. The Red Devils are currently sitting sixth in the Premier League table, level on points with Arsenal and a further six points adrift of Chelsea, who occupy the final Champions League spot. Bergwijn is a player that is highly sought after in Europe, as the PSV man continues to wow admirers with his consistent displays for the Dutch league leaders. At 21, he is already one of the best players in The Eredivisie, playing at a level that belies his years. The Express report that United will make a £25m bid for the talented winger with Solskjaer expected to be fully backed by the Old Trafford hierarchy as United look to end the season on a high. This is a huge turnaround of fortunes following the toxic atmosphere in the final days of Jose Mourinho. Solskjaer was hired on an interim basis but has been touted as a permanent manager given the remarkable change of fortunes the team has experienced. Tutttomercatoweb also report that the former United striker is desperate to sign Bergwijn, who he feels can add more goals to his attack. The winger is a pacy player that is known for his ability to dribble, play killer balls and propensity to strike the ball from distance. He primarily plays on the left of a front three and has registered 9 goals and 8 assists in just 22 matches this season.